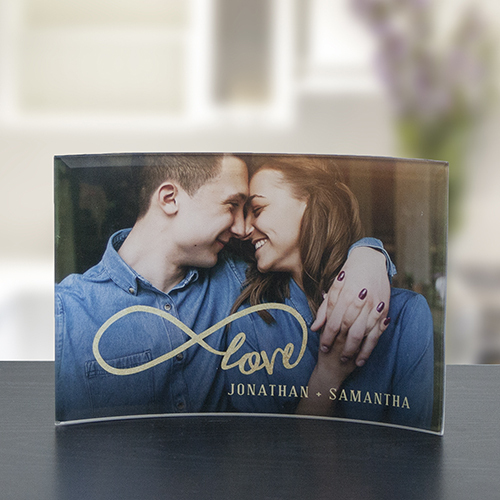 Your love is infinite, so celebrate love with a gift of our Personalized Infinity Photo Curved Glass Keepsake for your valentine and make a more romantic home. Personalize this unique glass piece with any photo and any custom message line to create a beautiful unique gift for Valentine's Day, weddings, and more. Buy Romantic Gifts For Home Today! Great way to display a photograph or any piece of artwork. 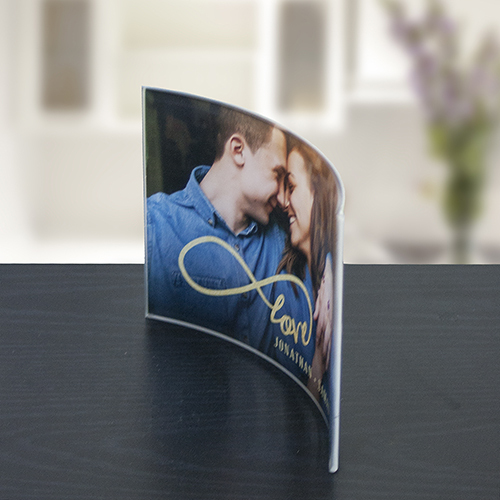 Unique curved shape allows award glass to stand securely on any surface. Approximate size 5" x 7.5"